On September 7, 1882, the Saint Paul Common Council passed a resolution "to establish and maintain a free public library and reading room." 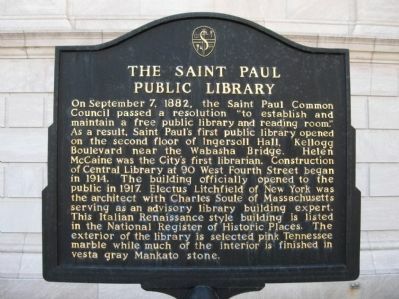 ﻿As a result, Saint Paul's first public library opened on the second floor of Ingersoll Hall, Kellogg Boulevard near the Wabasha Bridge. Helen McCaine was the City's first librarian. Construction of Central Library at 90 West Fourth Street began in 1914. The building officially opened to the public in 1917. Electus Litchfield of New York was the architect with Charles Soule of Massachusetts serving as an advisory library building expert. This Italian Renaissance style building is listed in the National Register of Historic Places. 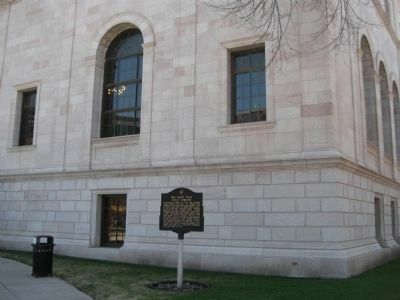 The exterior of the library is selected pink Tennessee marble while much of the interior is finished in vesta gray Mankato stone. Location. 44° 56.637′ N, 93° 5.853′ W. Marker is in Saint Paul, Minnesota, in Ramsey County. Marker is at the intersection of West 4th Street and North Washington Street on West 4th Street. Touch for map. 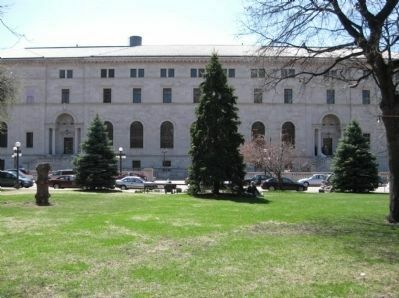 Marker is at or near this postal address: 90 West 4th Street, Saint Paul MN 55102, United States of America. Touch for directions. distance of this marker. 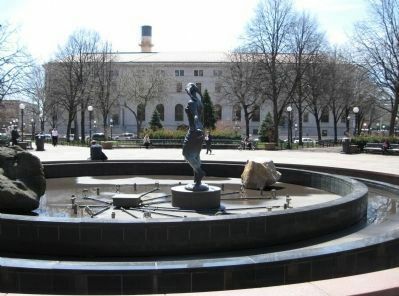 The James J. Hill Reference Library (within shouting distance of this marker); Rice Park (within shouting distance of this marker); Hamm's Bear (approx. 0.2 miles away); History of Saint Paul (approx. 0.4 miles away); Central Presbyterian Church (approx. 0.4 miles away); Pioneer Building (approx. 0.4 miles away); The Reverend Lucien Galtier (approx. 0.4 miles away); Sisters of St. Joseph of Carondelet (approx. 0.4 miles away). Touch for a list and map of all markers in Saint Paul. More. Search the internet for The Saint Paul Public Library. Credits. This page was last revised on June 16, 2016. This page originally submitted on May 9, 2011, by Keith L of Wisconsin Rapids, Wisconsin. This page has been viewed 589 times since then and 8 times this year. Photos: 1, 2, 3, 4. submitted on May 9, 2011, by Keith L of Wisconsin Rapids, Wisconsin.